Rodolfo Sadler, affectionately known as “Opi” has had an illustrious career in the Argentinean wine world. With over 25 years of experience, Opi is known for exceptional deftness and knowledge of vineyards and grapes with a particular mastery of the different Argentinean terroirs. Having learned and perfected his craft working for the likes of the National Institute of Viticulture, and Bodegas Santa Ana, Opi started Mascota as a place to showcase his skill and passion for winemaking. Located in Finca La Mascota, the vineyards sit at the foot of the Andes in an area labelled “Primera Zona,” and recognised as Argentina’s best wine region. A place with wide temperamental range with alluvial soil comprised of rock underneath clay-loam surface and near the Mendoza River, make for an ideal microclimate for Mascota’s 97 hectares of vineyards. Inside the cellars, Opi’s hands-on approach means wines are carefully brought to maturity through small batch fermentation and barrel aging. Expressive tastes are achieved through a combination of skill with artistic license, but with a strict focus on balance and varietal character that reflects the terroirs of the land. This isn’t to say that refreshing and bright flavours take a back seat to woody or earthy tones that can often times by imbued from barrel aging, but rather base wines and curvee are crafted to enhance fruit flavours that add complexity and boldness to the final product. 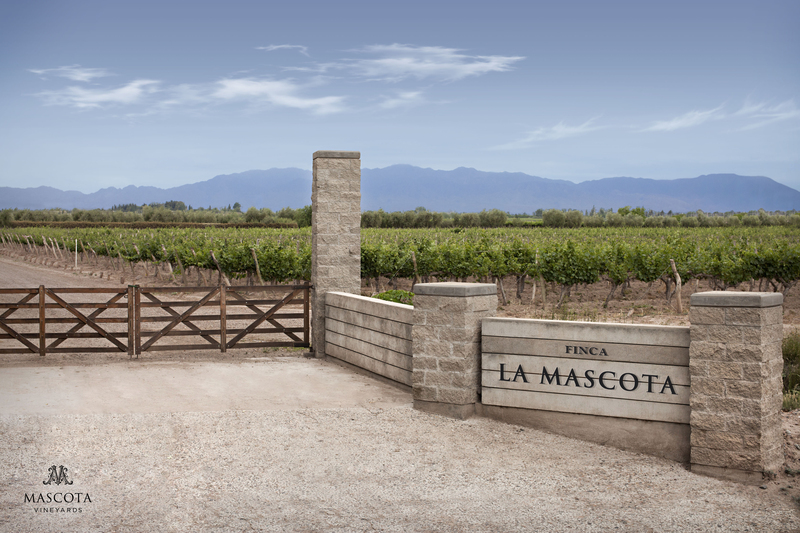 Mascota is the culmination of Opi’s achievements as a prolific and celebrated winemaker. Winemaking is his art, and Mascota is his canvas, where he has shown his ability to create exceptional wines ranging from basic, still, to high end, and sparkling. No matter the price range, every bottle of Mascota is created with the same care and love and taste like an expensive treat. La Mascota Sparkling (Gold medal with 94 pts) A wonderfully lively wine with a real dynamic play between acidity and fresh red summer fruits. Wild strawberry and lemon rind on the nose. A brisk style that is attractive and pleasant.